Godfrey Mogale, 45, died in June 2017 and was casualty number 29 in the outbreak between Jan. 1, 2017, and July 17, 2018 with 1,060 cases and 216 deaths. It was linked to polony, a ready-to-eat processed meat, produced by Tiger Brands in its Enterprise Foods facility in Polokwane, South Africa. Thomas Mogale, who moved to Johannesburg in 2001 and works as a security guard, told Food Safety News he still hopes to connect with his niece. “My brother had a daughter, who was about 20, but they were separated and the daughter lived with the mother in Rustenburg but she used to visit. We never asked where in Rustenburg, the daughter used to visit my brother,” he said. The 39-year-old said the government and health department did not act quickly enough during the outbreak. “If from the beginning if they had done enough maybe the deaths would have been fewer. They knew about the disease because when my brother died he was number 29 and after that it went to around 200. There are a lot of people who died after my brother,” he said. 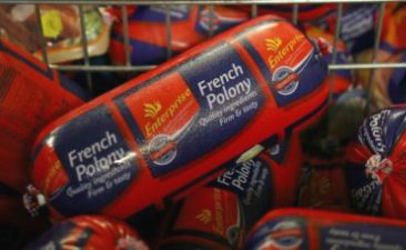 Polony from Tiger Brands’ production operation, Enterprise Foods, was found to be the source of the Listeria monocytogenes. The Mogale family is no stranger to tragedy, Thomas Mogale was one of five siblings. He is now the only healthy one with a sick sister and a brother and sister having died previously. “For now it is me and my family, there is no support group or anything. It is very, very difficult, it was me and my brother who were working so now I am the only one working. Now it is hard since my brother passed away, everything is low it is no longer high like before, when my mother calls I usually called him; I have this much, how much do you have so we can help? This time if my mother calls and I have nothing it means we have nothing, it is very tough,” he said. The father of two said his brother started to feel sick at the end of May 2017. “They called me, as we did not stay with each other, we stayed a distance away, and told me my brother is sick and I went there. I found him lying on the bed complaining about his neck and a headache. I went out to find a doctor and I took him to hospital. He stayed there for almost a month. He died on 31 June. I remember that day, it was a Saturday when they phoned me to come to hospital and told me he had passed away. “The doctor’s confirmed to me he had meningitis before he died but they didn’t understand what kind of meningitis. They called a specialist as he was not responding to medication and after he passed on we went home and when I came back two weeks later the Department of Health phoned and they told me my brother’s death was not meningitis but Listeria from the food. Mogale added his brother was staying alone since the separation and usually ate fast food as well as polony and viennas together as he didn’t like to cook for himself. Enterprise polony was recently put back on supermarket shelves, Mogale said while he does not eat the ready-to-eat processed meat he was not against this restart.